Apple seeded the third beta of tvOS 9.2 yesterday to developers and it seems as though the new piece of software for Apple TV 4 is more loaded than we originally thought it would be. Lifting the hood of tvOS 9.2 beta 3 reveals a bunch of startling revelations and things that we wished were there in the first ever release of tvOS. For instance, this update brings with it support for voice dictation, just like on iOS and OS X, allowing you to fill out text boxes without having to swipe left and right on the less than stellar tvOS on-screen keyboard. The way the new feature works in tvOS 9.2 beta 3 is absolutely simple as well. Once you’re in a text box that supports voice dictation, you’ll be prompted to hold down the ‘mic’ button on the Siri remote to input text using voice. Once you’re done, simply let go of the ‘mic’ button and everything will be translated to plain text. 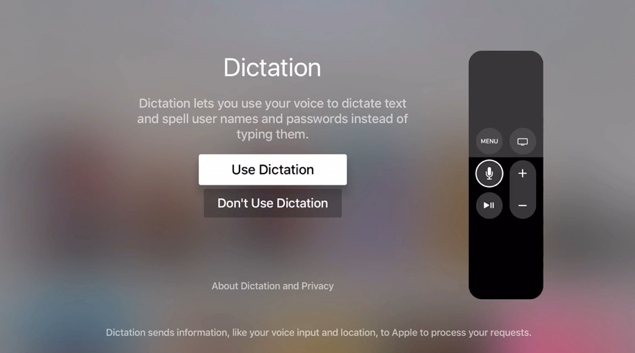 You can even use the newfound dictation feature in tvOS 9.2 beta 3 to dictate usernames and passwords for different accounts as well, which means you can kiss the on-screen keyboard goodbye. 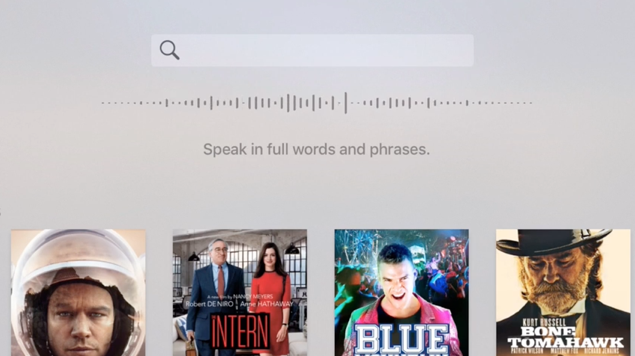 Last but not the least, Siri has learned a new trick in tvOS, allowing users to search the App Store using the power of their voice. A handy addition if you’re asking us, especially if you consider yourself to be an app addict on Apple TV 4. It’s rather strange that Apple took a while to bring such a feature to its tvOS platform, given that the feature has been on iOS and OS X for a long, long time. And considering the fact that tvOS makes good use text input method, it leaves us with our heads scratching for obvious reasons. We’re quite certain that we’ll see at least one more beta before tvOS 9.2 is rolled out to everyone around the globe. And given the fact that Apple is throwing in new features with every release of pre-release software for Apple TV 4, there’s a high chance that the final build will bring with it surprises we haven’t even seen or heard of before. You can give tvOS 9.3 beta a shot on your Apple TV 4 only if you’re a registered developer with Apple. If you’re not, then you might want to wait this one out as the Cupertino giant isn’t currently running any beta program for public testers. Eventually the company might. But that day isn’t today!